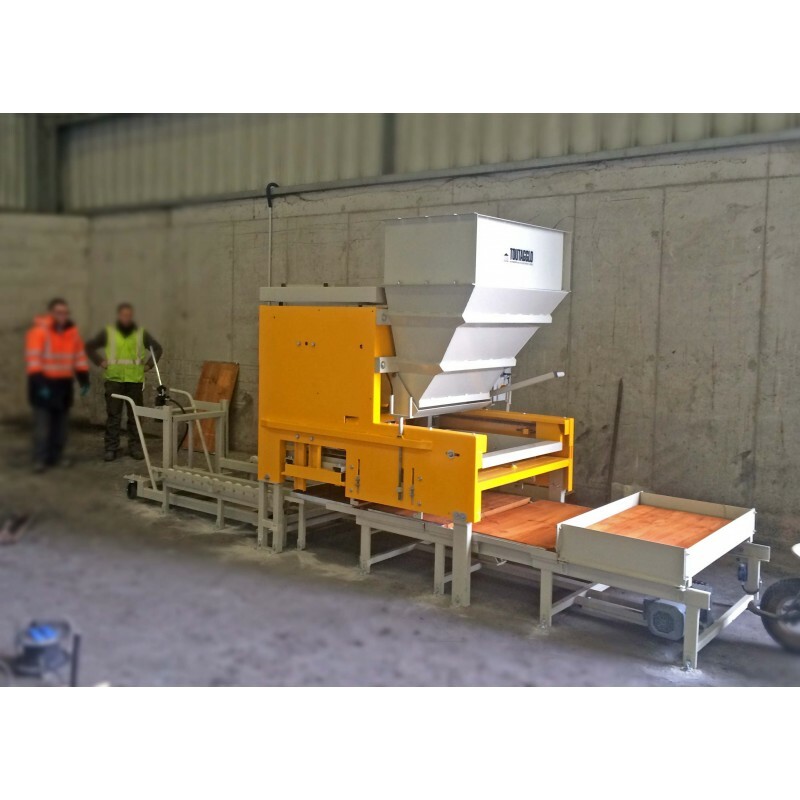 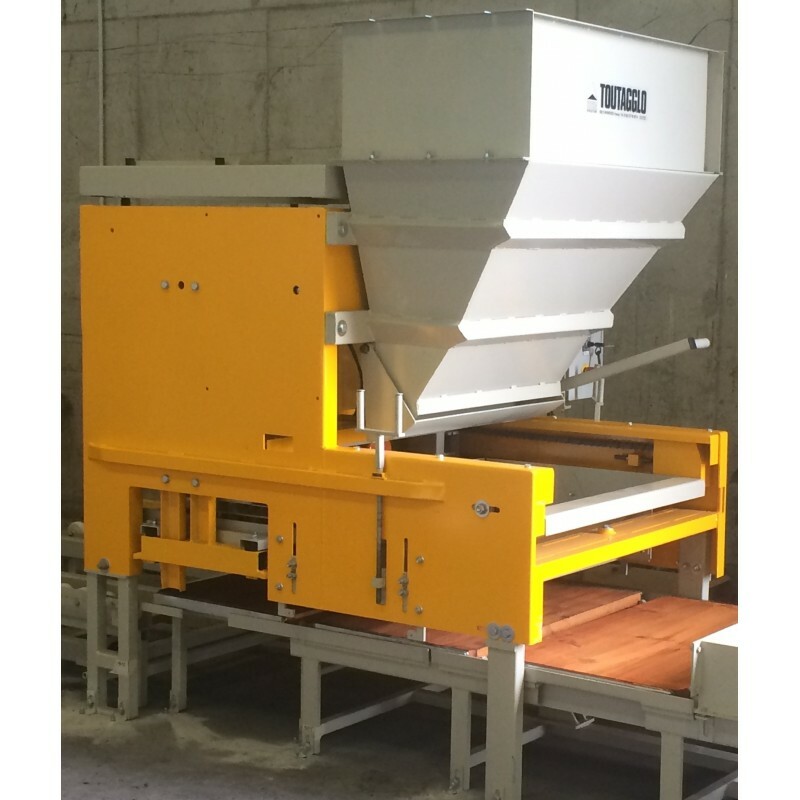 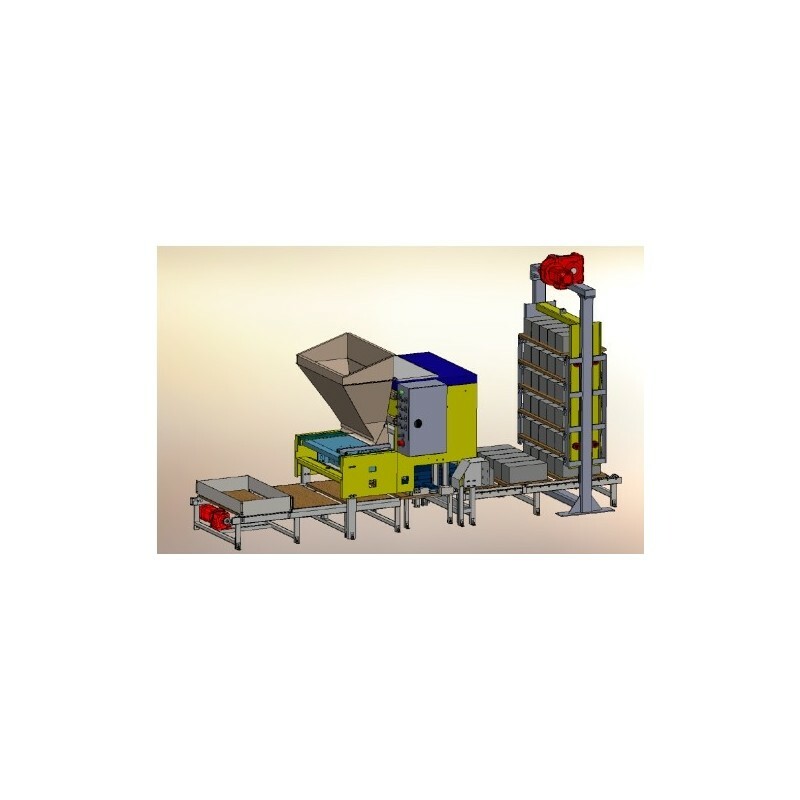 Semi-automatic line for the making of concrete products. 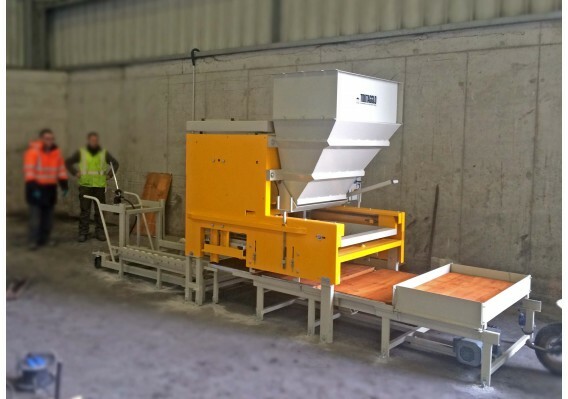 Ligne semi-automatique pour la fabrication de produits en béton. 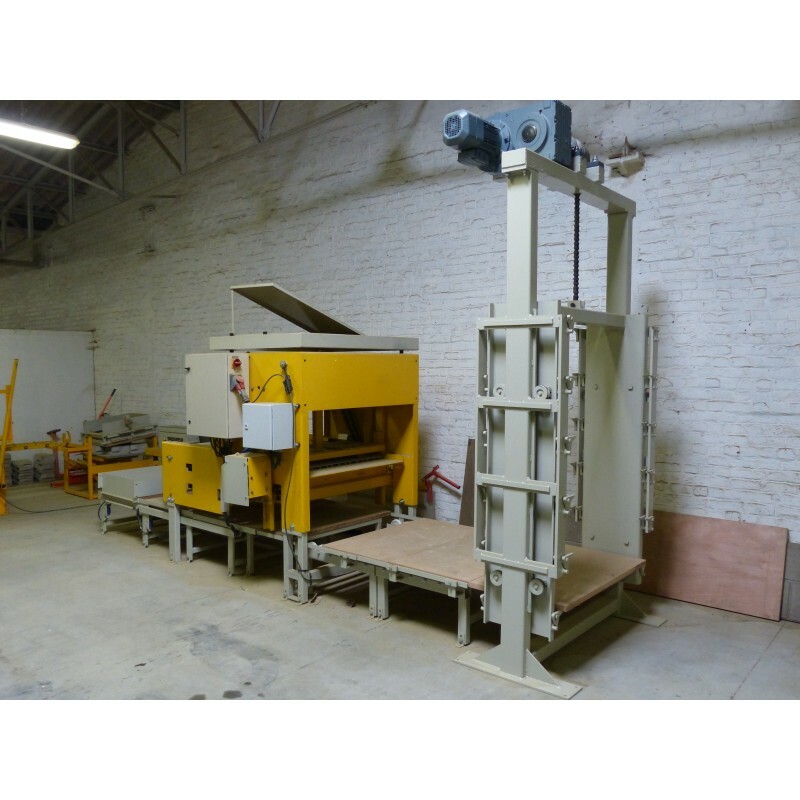 Production line including a semi-automatic machine TB1000, a 5 boards reserve, a motorized conveyor to eject the boards loaded on the machine and to bring an empty board in the mold, a 5 levels motorized elevator of 350mm.